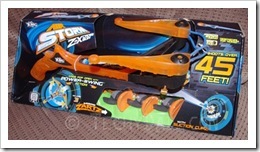 Last year, I reviewed two products from ZING Toys. When I heard that they had some new items, I was excited to get the chance to review these as well. 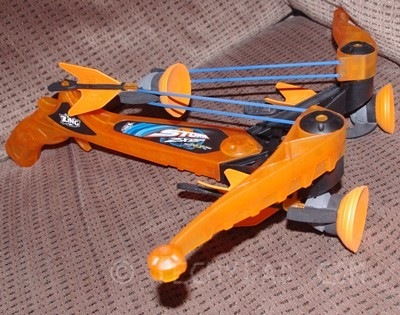 The first to get played with was the Z-X Crossbow. In many ways, this was similar to the Z-Curve Bow I reviewed last year. Both use stretching bands that arrows hook into to launch far away. The primary difference, however, is that this is a crossbow. When the arrow is loaded, it locks into place. The arrow will then remain in place until a trigger is pulled. Afterwards, the arrow will go flying off into the distance. 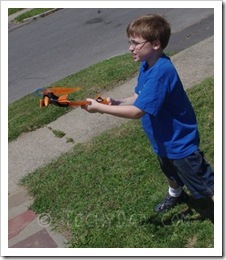 My boys loved playing with the crossbow. Sometimes they would take turns with one firing the arrows and the other running off to retrieve them. Other times, they would each fire an arrow and see who could get theirs the furthest. Next up were the Pop Rocketz. This was very different from our previous Zing products. 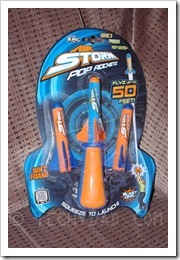 Instead of a slingshot or arrow, this was a air powered rocket launcher. You simply slide the rocket onto the launcher. 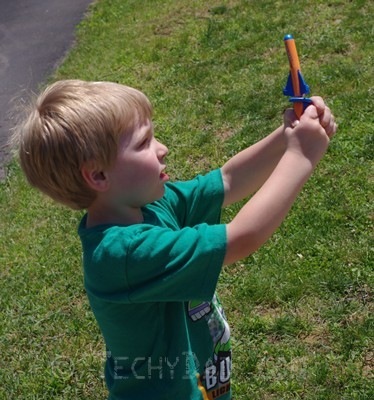 Then, you squeeze the bulb and the rocket shoots high into the air. This was a favorite of my boys, especially JSL. Many of these toys require strength and coordination that a 5 year old doesn’t have. 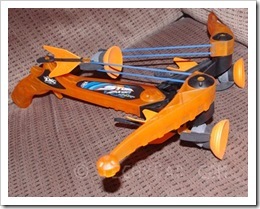 Yes, the Z-X Crossbow is labeled as being for ages 8 and up, but if NHL is using it, JSL will want to too. 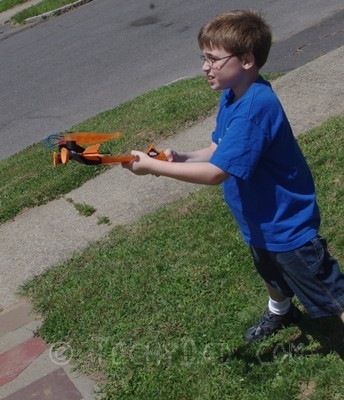 And if JSL tries using the crossbow, he will doubtlessly get frustrated. 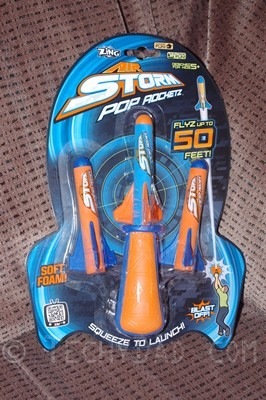 The Pop Rocketz, however, were designed for ages 5 and up. They are extremely simple. 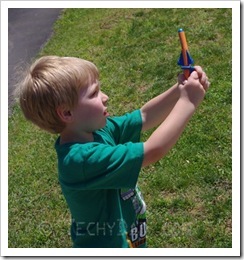 JSL just needed to squeeze the bulb very quickly and he could shoot the rockets pretty high. Both of these products have earned their place as fun outdoor toys we will doubtlessly use over and over again. 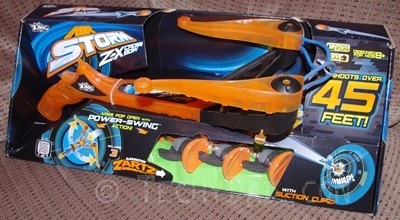 Disclaimer: I received the Z-X Crossbow and the Pop Rocketz from ZING Toys to review. However, the opinions expressed above are my own.